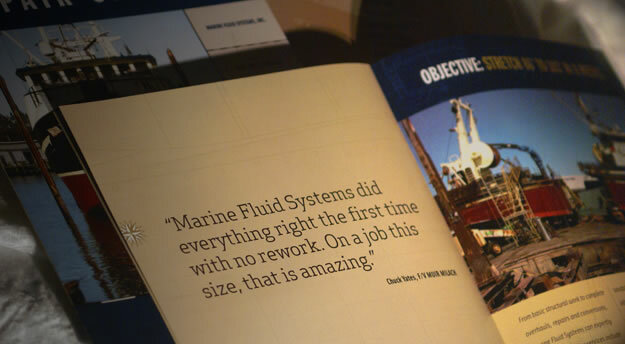 For the Marine Fluid Systems logo design, we incorporated four concepts in one memorable icon. We found the natural shapes of an ‘M’ perfectly lent themselves to the concepts of a rudder and haul-out. Add water and a life ring, and the result is a logo that perfectly communicates exactly what our client does: haul boats out of the water to do major work and breath new life into them.